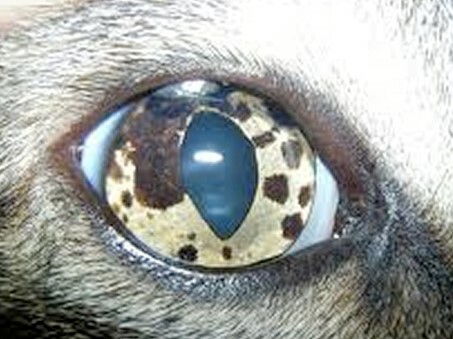 Unfortunately animal’s eyes are not exempt from developing cancer. 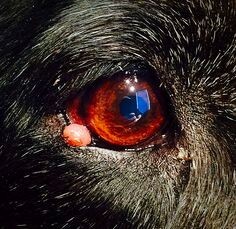 This disease can affect any of the different structures of the eye including the eyelids, the surface of the eye (conjunctiva, cornea, sclera), uveal tract (colored tissue inside the eye which includes iris, ciliary body and chorid), retina and optic nerve. Thorough examination is often sufficient enough to make an accurate diagnosis but in some cases additional diagnostic imaging needs to be completed. Once the diagnosis has been made we will discuss the severity of the disease and offer treatment options. In some cases a simple surgery may be required but other conditions may require more involved surgery, laser surgery, cryotherapy, chemotherapy or even radiation.